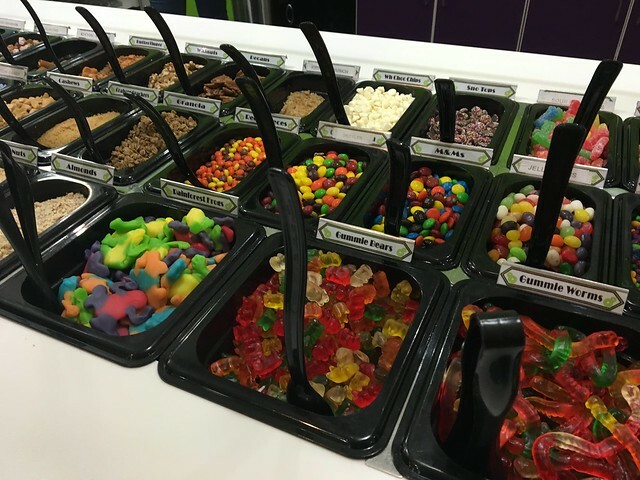 Frozen yogurt shops are like a dime a dozen anymore. But, it's not always easy to find one that isn't a chain. 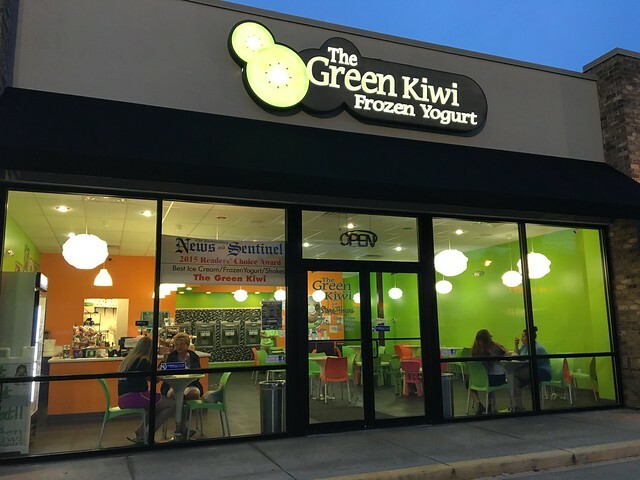 The Green Kiwi Frozen Yogurt in Vienna is a local shop that has a little less than a dozen flavors of yogurt and a ton of toppings to choose from. I went for Toasted Marshmallow and Sea Salt Caramel Pretzel. 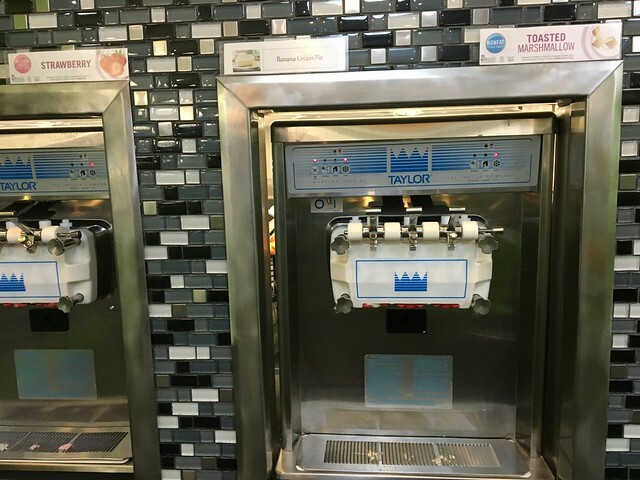 Neither tasted too different - just variations of chocolate or vanilla, really, but that doesn't mean they were bad. I wouldn't mind seeing some more options, but these were good. And there was a decent variety. 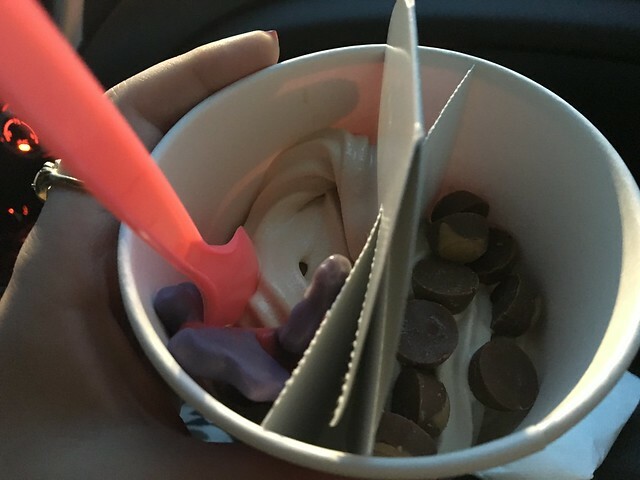 I got some gummy frogs on one side and mini buckeyes on the other. 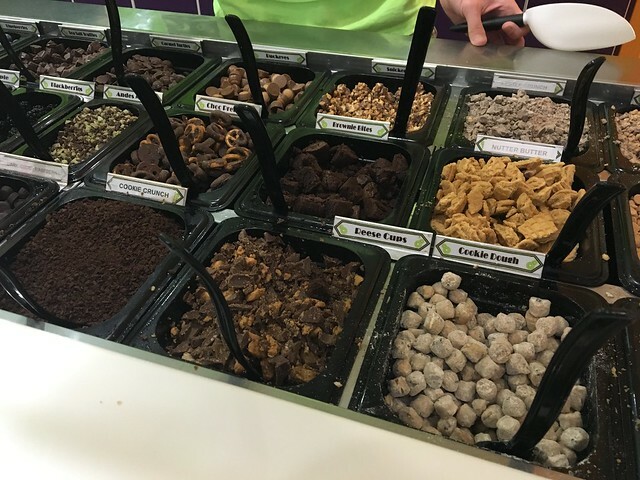 There are lots of options - both chocolatey and fruity. So many tasty things like Reese Cups, chocolate covered pretzels and cookie dough bites. 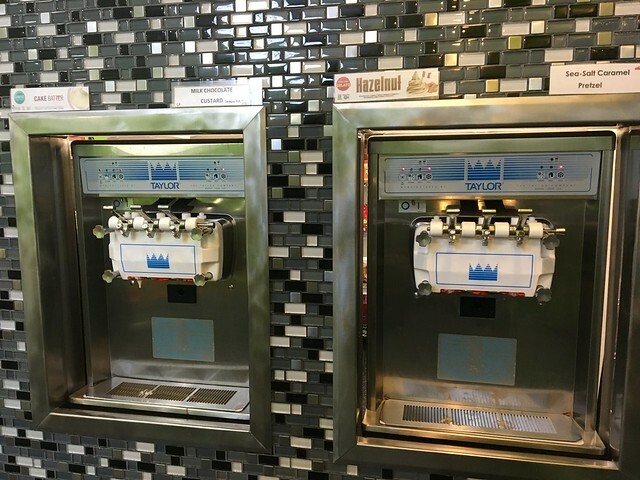 If you're into frozen yogurt, check out this place for a local option. Still a good number of products and even better that it's locally owned and operated!